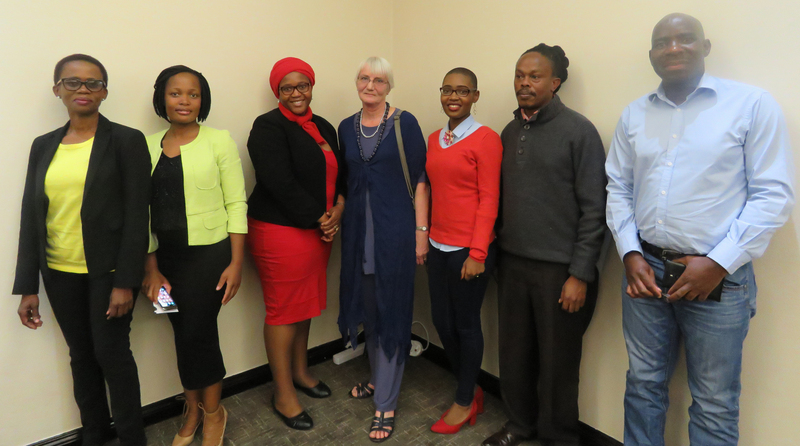 A special function was held during the course of a South African Spatial Data Infrastructure (SASDI) workshop in Pretoria to acknowledge the substantial contribution that Helena Fourie has made to the South African geospatial community. Fourie, who officially retired at the end of July, was honoured by her former colleagues at the Department of Water and Sanitation (DWS), her current colleagues at the National Spatial Information Framework (NSIF) of the Department of Rural Development and Land Reform (DRDLR), as well as her fellow SASDI proponents. 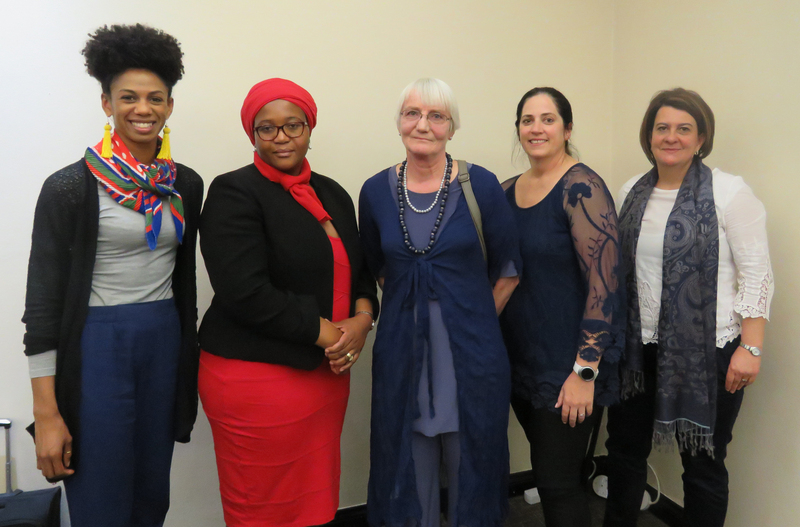 Lindy-Anne Siebritz (DRDLR), Maroale Chauke (NSIF), Helena Fourie, Carey Rajah (Department of Water and Sanitation) and Nicolene Fourie (CSIR Meraka Institute). Fourie recounted how her career began in 1976 in the South African National Defence Force where she became a female cartographic draftsperson for 47 Survey Squadron, the military wing of trig surveys. She was the first female sapper in the SANDF, starting as an apprentice draftsperson (long before the computing era), before heading off to Technicon Pretoria to acquire a Diploma in Cartographic Drafting. She underwent officer training in George in 1980, and then became involved in training other female officers in cartography and photogrammetry. Fourie shared details on the techniques involved in her early cartographic work which was done by hand. In 1987, she left the defence force to bring up her children, and in 1995, when she returned to work, she joined intelligence services working with a team called MILGIS, where she worked for the first time with digital data. She later joined DWS, where she worked for several years, before her somewhat reluctant secondment to the NSIF where she championed SASDI initiatives. 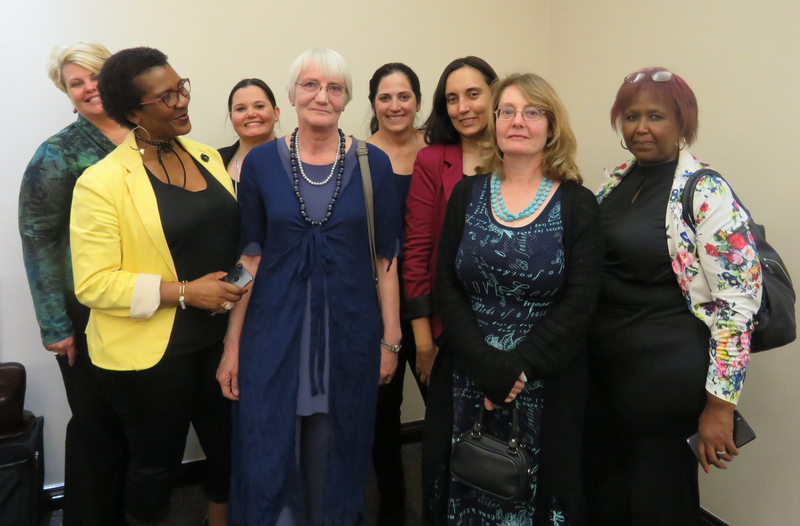 Helena Fourie surrounded by her former colleagues from the Department of Water and Sanitation. Fourie’s colleagues and friends all speak about her passion for cartography, her generosity as a mentor, and the impact she has had on their lives, both professionally and personally. Focused, diligent, efficient, resourceful, extremely organised, ethical, and perfectionist are just some of the adjectives that were repeatedly used to describe her. Her former colleagues at the DWS are fulsome in their praise for the cartographic work she completed there and her current colleagues at the NSIF speak of her passion for data governance and meta-data. Helena Fourie surrounded by her colleagues from the NSIF. Unable to resist making one last push for South Africa’s spatial data infrastructure, Fourie used her farewell as a platform to call on her colleagues to capture their metadata on the NSIF’s electronic metadata catalogue. She stated that she had presented many capacity building workshops to various organisations over the years but despite this very few organisations have started capturing metadata. 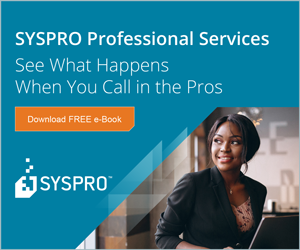 She reminded her colleagues that you can only search a catalogue when information has been put into it and made one last plea to her fellow SASDI advocates to populate the electronic metadata catalogue and make it a success. She concluded by telling her NSIF colleagues that having initially followed an extensive communicative and collaborative approach, it was now time for the NSIF to put pressure on the geospatial community to make the electronic metadata catalogue a reality.